OK, before you do anything, please start by helping me spread happiness, joy, abundance, and health throughout the world by "Liking", "Sharing", "Tweeting", or whatever method you use for social media here. You'll find this toolbar on most pages of the website, so whenever you read something of interest, share it!! Hi, I'm Jimmy, the creator of BeHappy! - a comprehensive system designed to help you lead your happiest possible life. That is my ultimate objective for you. And to help achieve that objective, let me take you on this "tour" of BeHappy101.com to help you navigate easily throughout the site and get the most from your experience. Click here or just read the box to the right to get to know me a bit better. In fact, I would love it if you actually made it your default homepage – so it’s the first thing you see everyday. There are many reasons for this. 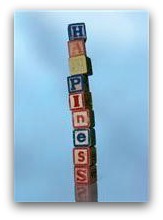 First, every morning between 5:30 a.m. and 7:30 a.m. (365 days a year) I put up the BeHappy! Thought for Today. This Thought is a quote about happiness, motivation, relationships, spirituality, or money. Use it daily to inspire you or just put a smile on your face. I have committed to posting this Thought every morning, and I have rarely missed one since I started it on February 1st, 2009. So make your own commitment to use it each and every day to make you happier. It will help you achieve your happiest possible life. This button appears on many pages throughout the site (including the homepage) so you can click on it to get to the daily Thought quickly. The second reason for bookmarking this page is because there are many times throughout the day where you should come to the site for the mental “boost” you might need. Daily life can be tough. Don’t let it affect your productivity at work or your happiness in life. Read an article or a joke, post a comment on how you make yourself happier (as a contribution to other visitors), or just look up a strategy on dealing with adversity. Whatever you need, you can get to it quickly by bookmarking BeHappy101.com now. BeHappy! 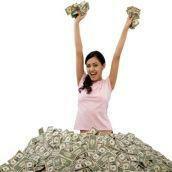 is a comprehensive “system” designed to create the happiest possible life for everyone. The BeHappy! Newsletter is an integral part of that system. It provides a regular (currently bi-monthly) supplement to what you’ll find on this website, in the book, and within the E-Coaching process. Use them all to make your life better. To subscribe FREE to the newsletter, just fill in the information in the boxes to the right and you'll start getting the benefits of the newsletter with the next issue (you can also get immediate access to all back issues). Throughout the site, you’ll find three main ways to navigate the site quickly and easily. First, on the homepage are "icons" for the 4 main happiness areas of the site. Next, at the top of every page is a "Navigation Bar". It contains important commonly-searched areas within the site if you are looking for happiness or health products, want to find an article or blog post on a certain topic, or just want to get back to the homepage quickly. It also gets you to the registration page of The Happiness Academy, a six-month comprehensive course on happiness. This is what you can expect here at BeHappy101.com. It is truly your one-stop-shop to help you live a happier, more fulfilled life. Click on each of these right now to check them out. 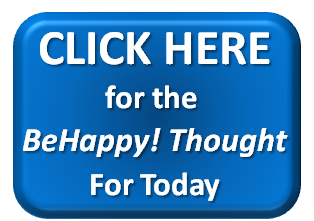 The middle (blue) button is on the homepage and will take you to a new happiness-building quote which is put up new everyday. 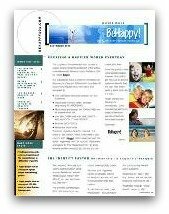 And, since most of the information here at BeHappy101.com is free, I would sure appreciate it if you would click on the left (green) button to donate to the cause (which is to help spread health and happiness around the world). Any amount, no matter how big or small, is greatly appreciated. Yes, there is a lot of stuff here at BeHappy101.com!!! Contentment –Does it Equal Happiness? Parenting Advice: Is Sleep the Most Important Happiness Habit? Understanding Brain Waves to BeHappy! Get a Hobby to BeHappy! Use all these resources to help you live your happiest possible life. I am certain you will be happy you did.